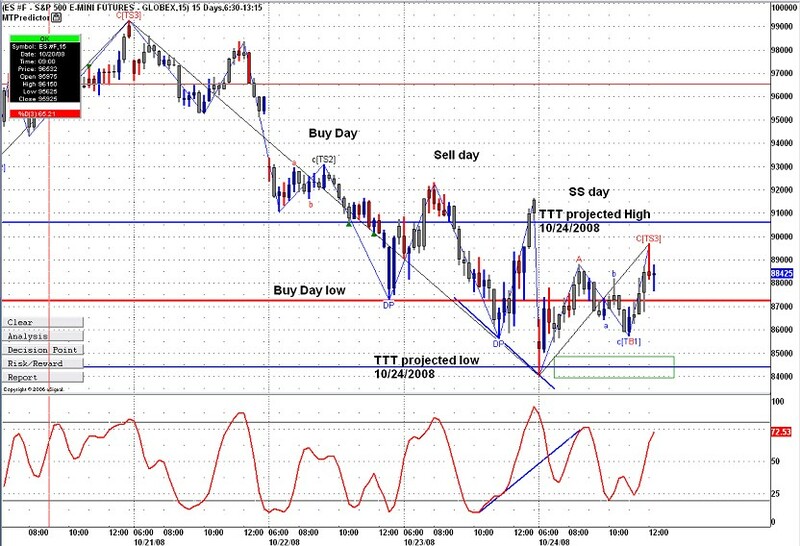 is it possible for you to explain exactly how you can use TTT with MTPredictor? I have seen your website...but maybe a recent example in these volatile markets. Should I be looking for a projected high or low in a DP area? Does that happen often? I think I am missing the boat on using these two together. Any help is appreciated. Thanks! Welcome to the forum. 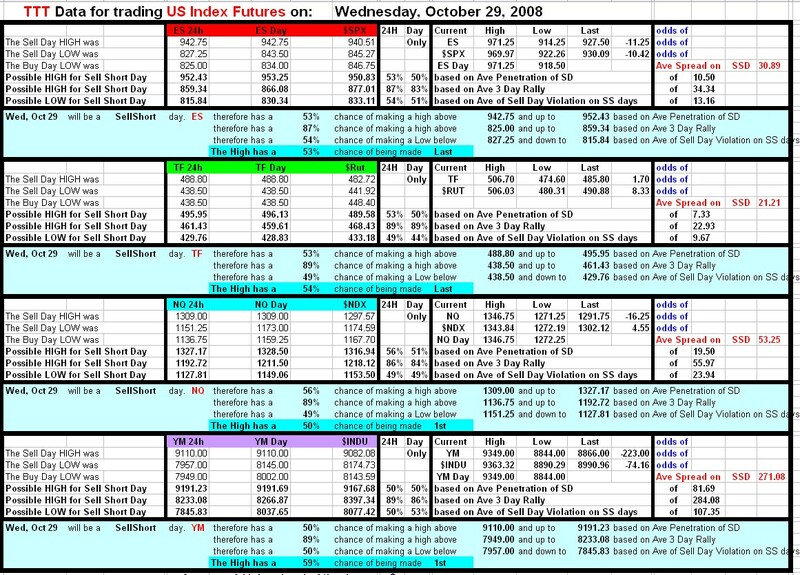 I will be coming out with a handout for the subscribers next week, explaining TTT and how to trade it. In answer to your question I will show you how MTP and TTT could have been used together for the last 2 days. I hope these two examples will help you. Also feel free to email me with any of your questions or post them here. 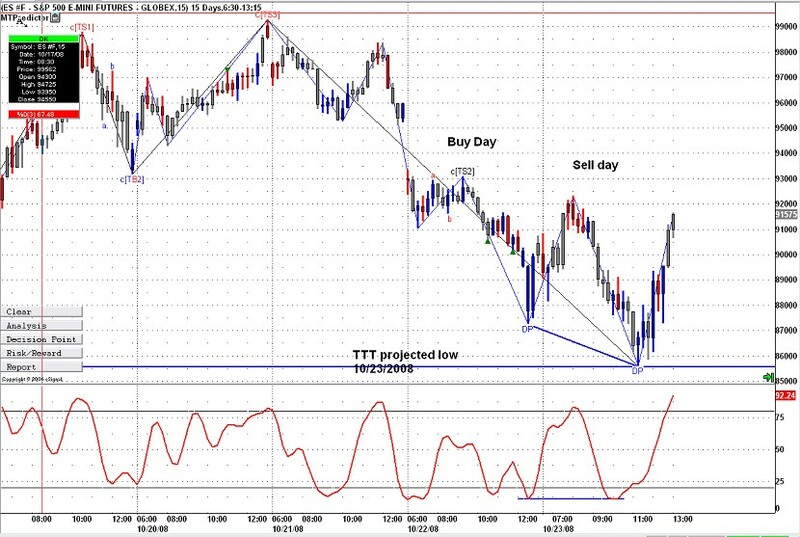 Yesterday was a Sell day and we had a 60% of making a lower low. We had projected low at 855. If you look at the picture below you will notice it was in the DP area and we had divergence on the Stochastic. Today was SS day. We had a large gap down open. We knew we had an 83% chance of getting back above the Buy day low. We also dropped right to the projected low which was in the DP zone and with again some good divergence on the Stochastic. having a hard time getting a grasp of this method. Hopefully the light will come on soon. 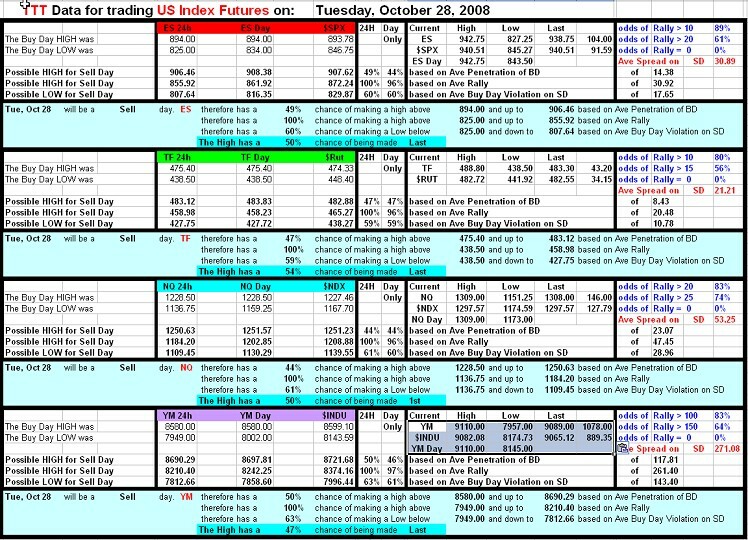 thank you for the Guide to Trading TTT E-Book that you have made available to your subscribers - its excellent !!! Nice job on the Guide for the E-Book. You have done a great job on it and the new format for the Recap page. It's been a nice transition from the first publishing of the numbers till now. What a great professional evolution!!! Thank you for the nice comments Gio and Jim. I am super happy that you both like the changes and the Guide as its been long time coming. Thanks for the great information, it certainly has cleared up some questions for me. I like the new format,a lot less confusing. Appreciate your continued support. Today was a Sell Day. We rallied overnight and as mentioned in last night report we came down to test the lows before the real rally began. Only TF came close to make a new low but stopped right at Monday's low. Today was SS day. 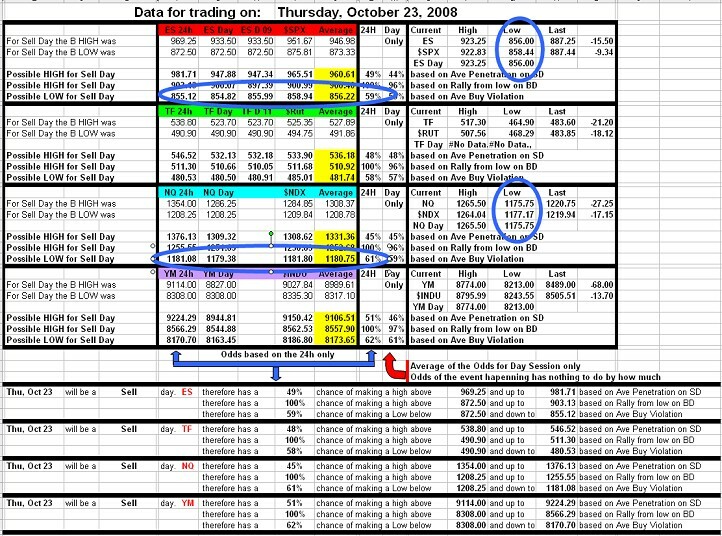 We had a 53% chance of getting a higher high today but our odds were a bit better having closed on the highs yesterday. You will noticed that the 952 ES projected high held for a good part of the day and got taken out only after the FOMC news just to finally reverse down to close near the lows of the day. We also had 53% odds of making the High Last and we did.